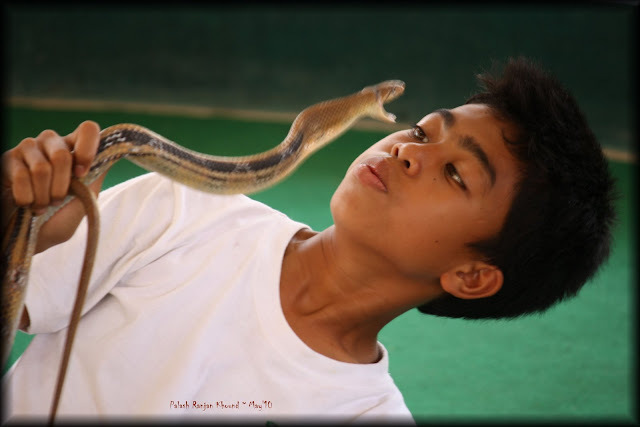 @Cobra Show in Chaing Mai. Don't remember the creature name but its was too fast and furious. Its can jump upto few feet and was quite swift. See how the kid is concentrating on the creature's move... The commentator right said - "The creature can kill you in 30 minutes and the hospital from the show place is 20 minutes away - So each moments counts."